You must be surprised to know that bedwetting has found quite common sleep disorder as of now. As per statistics, it is found that around 7 million US children are suffering from the issue of bedwetting. Generally, parents start expecting that their kids do not wet their bed at night when they find them potty trained in the daytime. But such parents always get disappointment on such expectation because average children do not stop wetting their bed till the age of five years. Similarly, there are many other surprising facts about bedwetting which you should know to help your child to control this sleep disorder. After analyzing several cases of children with bedwetting sleep disorder, it has come that there are many children who wet their bed even after the age of five years. Following are correct statistics of children with bedwetting problem. It is observed that 15 percent wet their bed at 5 years of age. 7-10 percent children wet their bed at the age of 7. 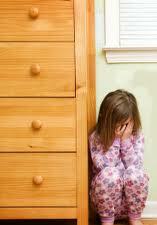 3% boys have found suffering from bedwetting issue at the age of 10 and 2 percent girls bear this problem at 10. 1 percent boys wet bed at 18 years of age. After going through the statistics, we can see different stages in which children have bedwetting issue. It clears that mostly young children wet their bed at night; however older children rarely suffer from this sleep disorder. It is uncommon problem in older children, yet we cannot consider it impossible issue. In comparison to girls, boys are found more in number who wet their bed. So, if an older child wets his or her bed, then certainly it is a matter of serious consideration and parents should quickly consult a doctor for medication. If a child wets bed at night, there must be a strong reason or some reasons. To stop bedwetting, it is necessary to pay special attention on behind causes. However, the reason for bedwetting is yet not clear. Still, many medical experts have agreed that genetics can be a big reason of bedwetting. As per genetics reason, the children whose both parents (mother and father) use to wet their bed, then there are 77 percent chances of bedwetting. In case, only one parent had this problem, and then the chance reduces by 44 percent. Only 15 percent children wet their bed whose both parents never had bedwetting issue. In addition to these factors, children who use to have deep sleep at night also wet the bed. Though, bedwetting is commonly found sleep disorder of today, yet it can be controlled with treatment. Having bedwetting habit at some age is not an issue of concern, but as the child grows, it becomes serious matter if he still wet his bed. The existence of bedwetting in an older child becomes a matter of shame and the child loses his confidence and negativity enters in his life. Therefore, one should get possible treatment as early as possible.